To celebrate International Women's Day, we're sharing the stories of four members of the Women's Army Auxiliary Corps Service whose stories we traced across the world through our records. 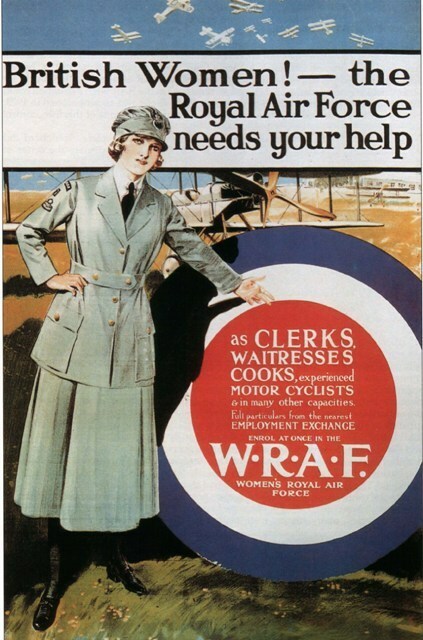 This week, we released thousands of amazing new records which reveal British women's contribution to the armed services in World War 1, including the Women’s Army Auxiliary Corps Service Records, British Women’s Royal Naval Service Officer Files, The British Women’s Royal Naval Service Ratings’ Service Registers and British Women’s Royal Air Force Service Records 1918-1920. You can search all these records on our Fridays page, and you can search them (along with millions more) for FREE this weekend! Which women will you discover from your family's history? Cecilia McTighe was 18 when she joined the Women’s Auxiliary Army Corps. McTighe was born in Boston, Massachusetts to Irish parents. At the time of her enrolment in 1918, Cecilia was residing in Kildare. Her father was a soldier with the British Army. Prior to the war we can find Cecilia along with two female relatives in the Irish Petty Sessions for larceny. They were caught stealing 3 stone weight of coal, but the case was withdrawn. During the war, Cecilia was based in the Royal Barrack in Dublin as a housemaid. After the war we can find the family again in Boston in the 1930 US Census, where Cecilia is working as a Stenographer. Annie Harris (nee Regan) - through her WAAC records we find that Annie was born in Australia and had an Irish father and an Australian mother. Her nationality at birth was stated as Australian, but at the time of the application she was British. We can also find that she was married to a British man, had one child and was living in Tasmania. 18 months prior to applying for the WAAC, Harris was living in South Africa. When she joined the corps she was assigned to be a waitress to work abroad. This is a great resource for Annie Harris’ family because it provides further clues to search for Annie’s parents, her child and even has a physical description; Annie was 5ft 3 inches tall with blue eyes and brown hair. In the records we have found Margaret Annabella Campbell Gibson, who received the first WAAC Military Medal. She was one of six women to be recognised for their actions during the Abbeville attack. The first woman to receive the Military Medal was Sarah Bonnell, a member of FANY. Bonnell was the first woman because the six women received their medals in alphabetical order. But the Wren’s were not simply working on shore - despite their motto being “Never at Sea” they did serve on the fleet as well. In October 1918 19-year-old Cork-born Wren Josephine Cox became the first Wren to lose her life on active duty when she was lost at sea after the mail steamer Leinster was torpedoed between Ireland and England. Her death was not reported at the time since Wrens could not receive medals during World War One as they were supposed to be purely shore staff. Discover more the stories of the women in your family's history at Findmypast - and share your stories this International Women's Day.